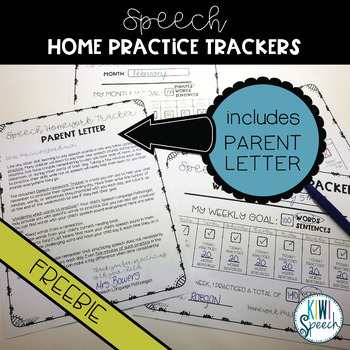 Articulation homework practice does not need to be complicated! 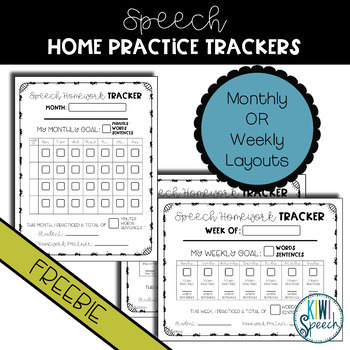 Send home these weekly or monthly homework trackers to encourage home practice of speech sounds. 2. 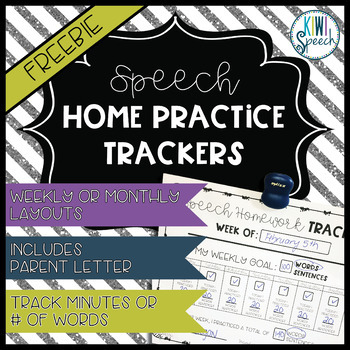 Two weekly trackers (one for "minutes" and one for "# of words/sentences"). 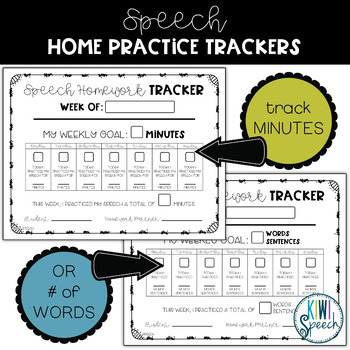 All trackers include space to write in a goal, check off days, and total the minutes/words/sentences completed. Become a Follower! : Simply look for the star by my logo to follow me and be the first to hear about new products, freebies, and sales. Find Me! : Find me on social media for updates and ideas! Facebook and Instagram (@kiwi_speech) are great places to start! Earn Credits! : Don’t forget to provide feedback for your purchases to earn credits for future purchases.